Snow is beautiful, but……………. 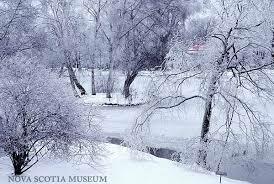 On Tuesday evening, after a lot of snow, the rain started and then freezing temperatures. This is not good. I looked out our family room window and our shrubs looked like glass and the trees were like crystal. In some respect, they were beautiful. Mr. B and I were tried and actually headed off to bed around 9:30pm. We didn’t figure we could do anything to stop the snow and we might as well go to sleep. We had just dozed off when we heard a loud boom and the electric went off. We have heard this noise before and knew it was the transformer on the electric pole. This happened on Tuesday, the 27 th. Little did we know that thousands of other people were experiencing the same thing. Huge pine trees that line our street just couldn’t take the weight of the ice and they were on top of the electric lines and would stay there until Friday, the 30th. We had family nearby with electric and heat and they were more than glad to let us stay with them a few days. We were inconvenienced, but we had a place to stay. It is during the crisis that communities and families really reach out. Neighbors in our sub-division with electric reached out to others & offered shelter. We were able to take our frozen food and keep it in someones freezer. We returned home on Friday and our neighbor offered to shovel our drive-way and has delivered our newspaper to our door each day. Several people knew my husband was very sick during this time and they called to see if we needed anything. 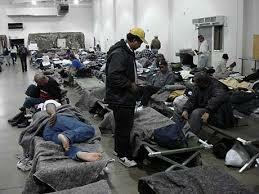 Through this crisis I began to think about all the people who have no home and live in shelters every night. They are at the mercy of someone giving them a coat that may even be the wrong size, but they are glad to get it. They have to depend on someones generosity in preparing them a hot meal. Being cold in the winter is no option for some people. It was just an inconvenience for me and I need to thank God every day for my blessings.